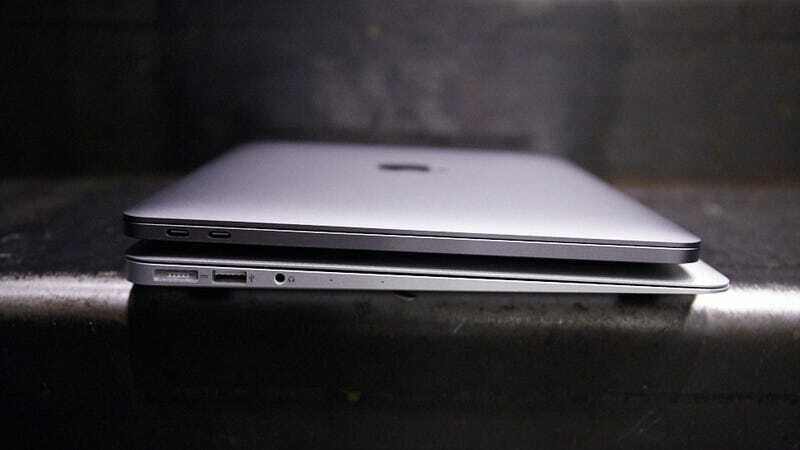 Just in time for its tenth anniversary, Apple might finally be killing the MacBook Air, according to a new report from Digitimes. If this is true, it’d be the first axing of a laptop line from Apple since the iBook and Powerbook were axed back in 2006. It would also be about damn time. Apple quietly killed the 11-inch MacBook Air back in 2016, but the larger 13-inch version has lingered on, getting a mild processor refresh last year that still left the laptop using a 5th generation Intel processor. That’s three generations behind the processors currently found in the MacBook Air’s competition, and it is the primary reason the laptop was excluded from our piece looking at the best laptop to be had for under $1000. This thing’s guts are ancient! But it’s still the cheapest laptop you can buy from Apple brand new, and consequently, people with $1000 bucks and a need to cling to a brand still go out and buy this when a new MacBook Pro, which is almost exactly as thin and light but significantly more powerful, is just a few hundred dollars more. The MacBook was originally Apple’s entry-level laptop when it was introduced as an iBook replacement back in 2006. Then it was slowly supplanted by the MacBook Air, which started off super sleek and overpriced (much like the current MacBook) before becoming the entry-level device now found in blog newsrooms everywhere. So retiring the MacBook Air and bringing in a cheaper MacBook at that price makes sense. What is surprising is that the entry-level MacBook would be a 13-inch laptop; the current MacBook, which starts at $1300, is a 12-inch device. Typically the smaller the laptop the cheaper it is. This detail adds a reason to be skeptical. The rumors of a new, cheap, 13-inch MacBook might not make absolute sense at the moment, but the rumors of the MacBook Air’s demise certainly do. It’s time Apple put this product to pasture.